Many attorneys spend tens of thousands of dollars to obtain an LL.M. in a particular discipline after they have graduated from law school. Some enroll in LL.M. programs immediately, and others practice for a given length of time before getting their LL.M.'s. There is no question that an LL.M. degree in a particular discipline can be quite prestigious, but let's tackle the issue of whether obtaining one will meaningfully increase your chances of obtaining a better position. How much have you spent on an LL.M.? Was it worth it? Let us know in the comments! LL.M. degrees are not for everyone, but they can be beneficial to some attorneys. 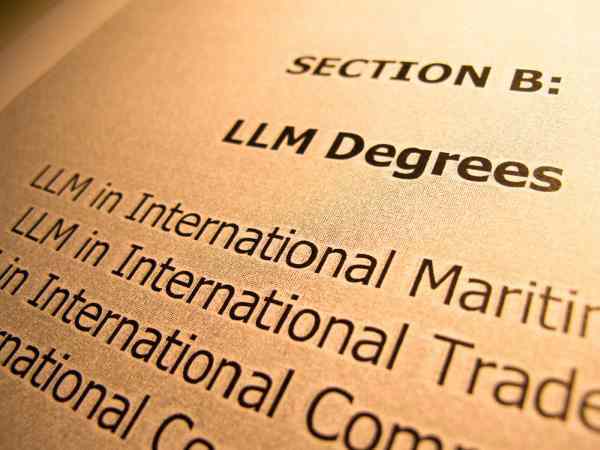 For foreign lawyers who have obtained their law degrees in other countries, obtaining LL.M. degrees may be the only way that they will be able to get licensed in certain states. We have seen a marked increase in the number of foreign attorneys who have come to the United States hoping to find meaningful work opportunities here once they have received their LL.M. and passed the bar in a particular state. Sadly, not all of these attorneys have fared well in the job market here. However, without question, if they are interested in returning to their native country with their U.S. LL.M. in hand, these attorneys are likely to be highly regarded and may even have a strong shot at being hired by a U.S. firm doing business with an office in their own country. For attorneys in this country, an LL.M. degree may or may not be a suitable choice, depending upon the practice area. One of the most respected LL.M. 's to receive is in the area of tax law. Indeed, many firms make it almost a prerequisite that their tax attorneys have also gone on at some point in their careers to obtain an LL.M. in tax, regardless of whether their practice area is corporate and partnership tax, international tax, or even ERISA and employee benefits. Consequently, many graduating law students, particularly in this market and especially if they are not graduating from a top-tier law school, may find it useful to go right on for an extra year of study in order to have the added cachet and prestige of an LL.M. in tax. Tax law is obviously not for everyone. But it is a specialty that will always be in demand, and many tax lawyers are capable of handling a number of transactional business matters in addition to their tax counseling and advisory work. Very few corporate transactional lawyers can say the same for being able to also do the quite complicated tax aspects of a business deal. In the areas of ERISA and employee benefits law, because so few lawyers have this expertise, having an LL.M. makes them attractive candidates to virtually any quality law firm, even if they did not originally graduate from a top-tier law school. The same cannot necessarily be said of other practice areas. For instance, an experienced civil and white-collar criminal trial lawyer without a technical undergraduate degree may not benefit from obtaining an LL.M. in intellectual property law. Intellectual property law in the areas of copyright and trademark, as well as technology and licensing, was badly hit by the collapse of the tech sector, and consequently, many attorneys in this area have been hard-pressed to find work, despite their strong credentials and expertise in this practice area. For recent law school graduates, particularly those with little to no practical, hands-on work experience in the area of intellectual property law, obtaining an LL.M. may not be a suitable choice at this juncture in their careers. While there is no question that an extra year of specialized law studies in a particular practice area-whether it be international law or intellectual property or health care law-will certainly enhance one's resume, it is unlikely that an LL.M. will in and of itself make the difference in your job search. C. The Quality of the LL.M. Not all LL.M. programs are created equal. U.S. News and World Report publishes a yearly report on the best law schools in the United States that also ranks LL.M. programs. Resources such as these are available to help you research what law school excels both across the board and with respect to certain specialties. In considering an LL.M. program, examine the alternatives and speak with the schools' placement offices and find out the number of recent graduates who received job offers upon completion of their studies. Find out which law firms came on campus to the school to actually recruit for attorneys from the program. Lastly, and perhaps most important, bear in mind that with the exception of a few truly top-ranked law schools such as Columbia or NYU, which probably have a number of law firms from several parts of the country recruiting on campus, most LL.M. programs only attract indigenous law firms. Consequently, if you want to practice as a health care attorney in Florida, don't go for an LL.M. in health care law in Ohio. No matter how successful that particular school's placement record is in Ohio, there is little chance a Florida firm will be knocking on your door. Is an LL.M. worth it? Find out in this article. Do you think an LL.M. is suited to your practice area? While an LL.M. can be a prestigious credential for some attorneys, it is not a panacea, even in a poor economy, for recent law school graduates with little to no work experience in that practice area. The most notable exception to this is in the tax arena. For experienced attorneys seeking to jump-start their careers or change practice areas, an LL.M. may prove useful, provided the practice area is in demand and provided the school they choose has a good track record.